Jens Strauss is a scientist at the Periglacial Research Unit of the Alfred Wegener Institute Helmholtz Centre for Polar and Marine Research, Potsdam, Germany. He is a geoecologist by training interested in understanding the degradation pathway of permafrost from the terrestrial to aquatic systems. As permafrost organic carbon represents one of the largest of the global climate-vulnerable carbon pools, his research focuses on the assessment of carbon thaw-susceptibility. Jens has been on many Arctic field expeditions in the North American and Russian Arctic, researching the vast permafrost domain of the former Beringian land mass, which was unglaciated during the last ice age. 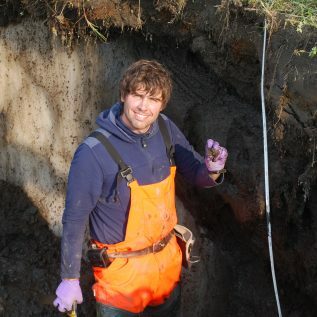 In the CACOON project he is the co-lead investigator, and responsible for identifying permafrost thaw end-members and quantifying how inputs of ancient-organic matter to aquatic systems relate to changes in terrestrial organic matter composition.